Planners Network is the organization of progressive planning. Our members are professionals, activists, academics, and students involved in physical, social, economic, and environmental planning in urban and rural areas. We serve as a voice for social, economic, and environmental justice through planning. A monthly e-newsletter, with member updates, job listings, event announcements, and other resources. The online magazine and podcast Progressive City, full of provocative ideas, reports, and analysis. Conferences, driven by community-led tours and participatory workshops. Local chapters, which organize events and discussions around hot local issues. The pn-net discussion listserv, and other local and thematic email lists. For three decades, Planners Network has been a voice for progressive professionals and activists concerned with urban planning and social and environmental justice. PN members have a wide range of interests – including environmental justice, community economic development, housing, and globalization. And they come from a variety of backgrounds – community organizers, social justice activists, professional planners, academics, and students. But what all PN’ers have in common is a commitment to work toward greater equity and fundamental change in how decisions are made in our global society. For more about PN’s history, click here. Since 1975, PN has been publishing a newsletter for its members. In 2002, the bi-monthly newsletter grew into a 48-page quarterly magazine. 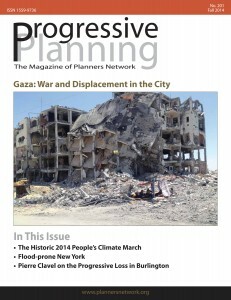 Progressive Planning: The Magazine of Planners Network sought to be a means for networking among members, a source of innovative ideas, and a forum for controversial policy questions neglected in mainstream planning circles. In 2017, the magazine became Progressive City: Radical Alternatives, an online publication and podcast with the same editorial standards, but adding an opportunity for readers to interact through comments and social media. Our contributors and readers are activists, reporters, practitioners, academics, and community members. www.plannersnetwork.org is our award-winning website. 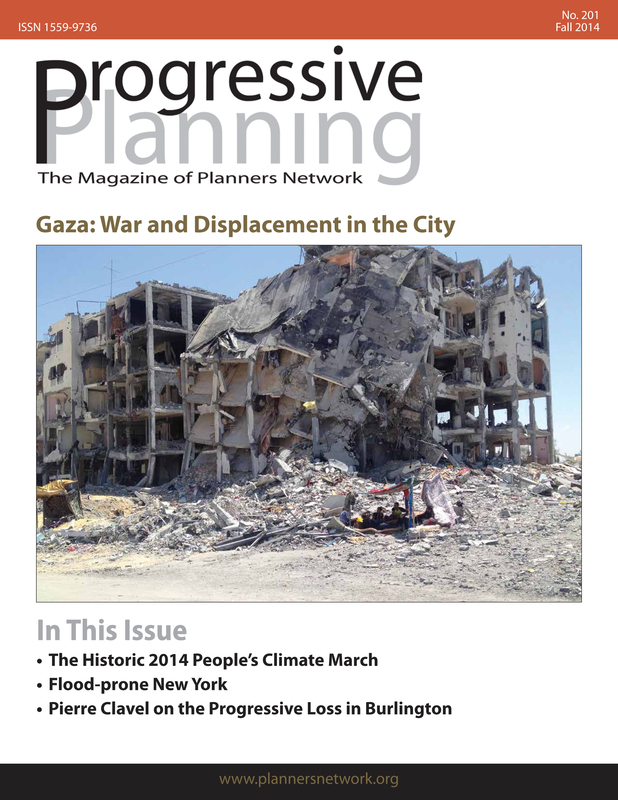 Redesigned in 2018, the website includes the Progressive Planning magazine archives, PN news, member updates, events, publications, organizations, jobs, and fellowships/grants. The website also includes contact information for local chapters and PN university representatives. After the magazine switched to a quarterly format, PN started publishing a monthly electronic newsletter to update members on more time-sensitive information. The newsletter compiles news and resources submitted to the website and magazine. PN maintains a facebook page for timely announcements. Some PN chapters have also set up their own facebook pages. The PN conference has been held since 1994. These gatherings combine speakers and workshops with exchanges involving local communities. PN conferences engage in discussions that help inform political strategies at the local, national, and international levels. Recent conferences have been held in Minneapolis; Holyoke, MA ; Toronto ; East St. Louis ; New York City; and Pomona, CA. The 2014 conference was held in Ciudad Juarez. PN gives progressive ideas a voice in the mainstream planning profession by organizing sessions at annual conferences of the American Planning Association, the Canadian Institute of Planners, and the Association of Collegiate Schools of Planning. PN members also participate at INURA conferences. In many cities, members have organized PN chapters and planning activist groups to network and take action at the local level. Local chapters are independent groups that promote the PN principles of social, economic, and environmental justice at the local level. PN students and professors advocate for more progressive planning education at their schools and nationwide. The PN Disorientation Guide is a new attempt to engage students in reshaping professional planning education. 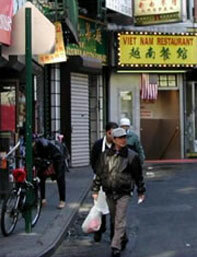 PN is also a member of the Habitat International Coalition. More information is available here. For more information about PN, read about our Statement of Principles, What We Do, History, Who We Are, FAQ, or download the Planners Network brochure. If you have a question that isn’t answered there, please contact us atinfo(at)plannersnetwork(dot)org. To become part of the network, sign up as a member.